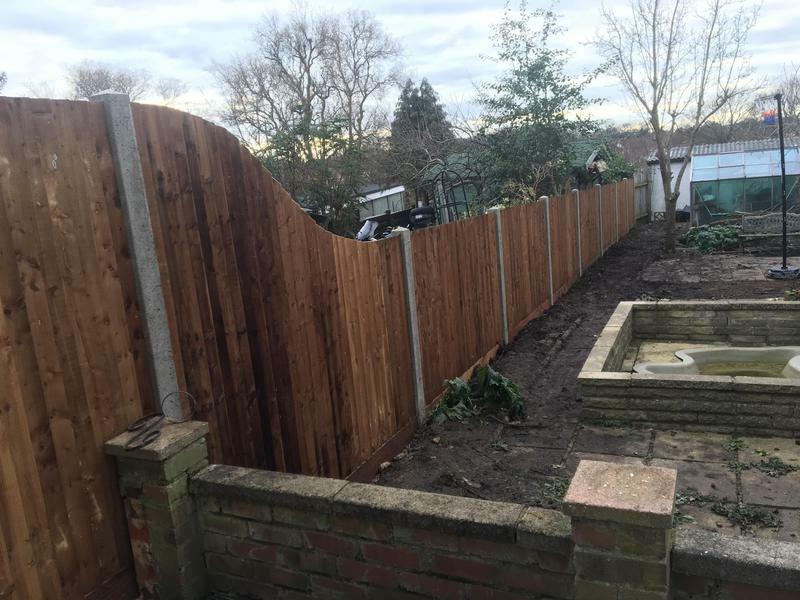 Fencing in Bromley, BR1 5DZ. Covering Bromley and all surrounding Kent areas. All areas of London. We are a family owned company with over 30 years of experience. Covering the London and Kent areas, We provide a strong and personal service to many thousands of satisfied customers who have loved the quality and service that we provide. At Atkins Fencing we provide a variety of fencing that can be used commercially and domestically. As every job is different we can cater to your needs and recommend the best option for the task at hand. Closeboard Fencing & Panel Fencing. This type of fencing is perfect for screening and garden boundaries. Timber and concrete posts as well as trellis are available with this type of fencing. We can also use gravel boards with this style. Post and Rail fencing for boundaries and paddocks. Timber posts also available with stock wire, rabbit wire and chainlink. Palisade Fencing is a great option for front gardens. We would recommend wooden posts with this type of fencing which also has the option to include gravel boards. Call us to discuss your Fencing or Decking requirements, and well recommend the best course of action that will work for you. We will then arrange an inspection so we can make a more detailed recommendation based on your circumstances. After the work is completed, we will guide and help you to ensure the fencing and decking last so at every stage, youll feel the reassurance of dealing with a friendly, professional and trusted fencing and decking company. We also cover Insurance work, and provide free non-obligatory quotes and estimates. Please call us to discuss your requirements, or for free friendly, professional and helpful advice. We look forward to hearing from you. "I've previously had fencing done by Atkins and they were great, so used them again to have our garden decking done. They were very communicative, on time and got it done in 4 days. It looks great and I would highly recommend them to others." "Extremely pleased with our new fence. Ray and Charlie have done a fantastic job. Hardworking, tidy, polite and overall they done a great job. Would defiantly recommend Atkins Fencing." "Very impressed with the workmanship from start to finish. Professional, polite, and lovely friendly lads who completed our new fence to a very high standard. The guys arrived when they said they would, worked hard (in the rain) and did an excellent job. Would absolutely recommend and hope to use again for a replacement gate!" "Punctual, courteous & tidy. This is the second time I have used Atkins fencing and they provide good value for money. Highly recommended."